Anyone can start a blog, yes. (I suggest starting one here on Siteground, for less than 4$/month!) 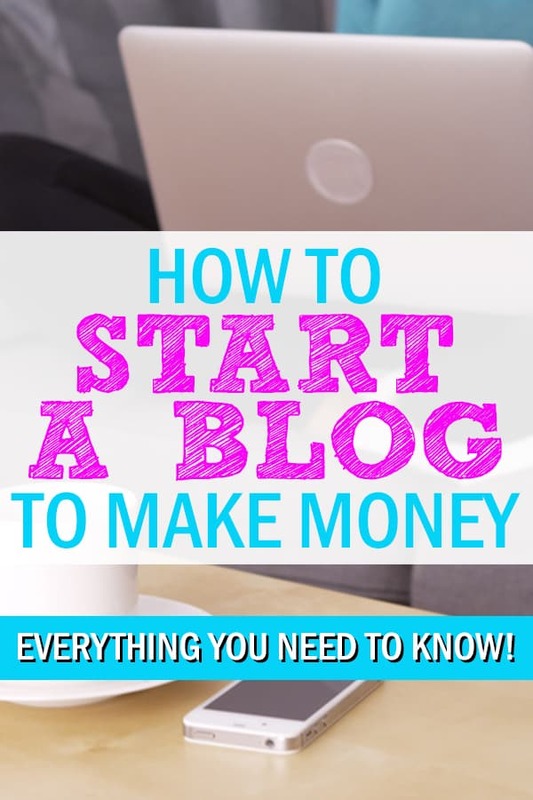 But how to start a blog and make money with it? That’s a whole different question – and it’s a little (a lot?) more complicated! I’ll tell you right now, the best way to start a blog to make money is to have a PLAN, and to understand just WHAT actually makes money for blogs. So why are so many bloggers failing? This isn’t because blogging for money is dead – far from it! It’s because people don’t want to accept that learning how to blog and make money is just like learning how to do anything else to make money. If you want to be a doctor, you go to medical school. If you want to be a photographer, you read about lighting and practice photography. When you’re working towards establishing a career, you put in the effort and you accept that it’s going to take time. You treat it like a JOB. Same thing when you want to be a blogger. Many people want it to be an “easy money” thing, and they don’t want to put in the effort that starting a blog for money requires. They get bored and give up when they won’t see results quickly. THAT is why so many bloggers don’t earn much. When people ask me how to start a blog to make money, I tell them there are a few requirements. But you DO need to be dedicated and stubborn enough to make the computers do what you need them to do. You need to be a self-starter, you need to be willing to not give up when you run into snags. You need to be a problem solver. I’ve had people email me (in response to something I’ve written here or there and say things like… “well, I don’t even know what a URL is”. And, believe it or not, that’s fine. What’s NOT fine is that they didn’t just think to google “what is a URL”. You MUST be a problem solver. You need to be unafraid of trial and error – and of failure. Sometimes, the best way to figure out what DOES work is to figure out – systematically – what does NOT work. You need to be willing to invest a little bit. But don’t worry – it doesn’t have to be much of an investment. It actually costs very little to start a blog – about 4$/month for a GOOD blog host, and then IF YOU WANT you can spend another $60 – $100 on a blog theme. That’s totally optional, however. The cost of starting a blog, compared to the cost of setting up a traditional brick and mortar business is PEANUTS. This is one the least risky (monetary) ventures you will ever take. I DO suggest that you consider purchasing some good courses in the first year; remember, you want to treat this like a JOB you are training for. And lastly, before you begin, you should know that blogging is hard work. Sure there are a few of those “overnight successes” out there – but don’t let them fool you into thinking it’s easy. Even they worked hard to get where they are. I wish so much that I had just started my blog 6 years ago when I first had an interest in it. I wish I had let go of all the fears and pushed aside all the overwhelm. I can hardly imagine where I would be now NOW if I had just started THEN. You have literally almost nothing to lose. Starting a blog for money is one of the least risky “businesses” you can tackle on your own. I believe that with hard work, you can start and grow a successful, money making blog. I believe this because I did it. I am in no way more qualified to be a blogger than anyone else out there. 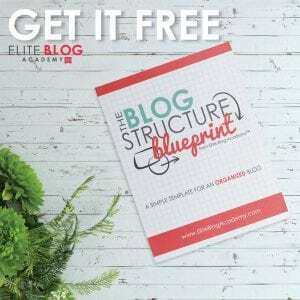 I’ve compiled my best beginner blogging posts into a series of 13 lessons detailing How to Start a blog and Make Money – this free course will walk you through the basics – step by step. The lessons are divided into two parts. If you’ve been blogging for a while and feel pretty comfortable with the technical aspects of blogging, skip right to part 2. For hosting to start your blog, especially for beginners, Siteground is the way to go! Their customer service (via live chat, phone or submitted ticket) is second to none! I recommend some resources throughout the lessons. Everything I recommend is something I have used myself on my journey to grow a full time income from my blog. 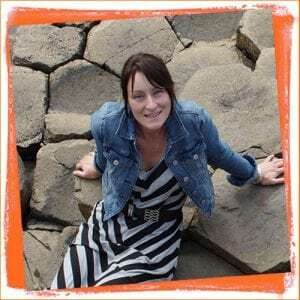 Good luck on your blogging journey – it’s one of the very best journeys I’ve ever taken – and I hope that’s the case for you too! 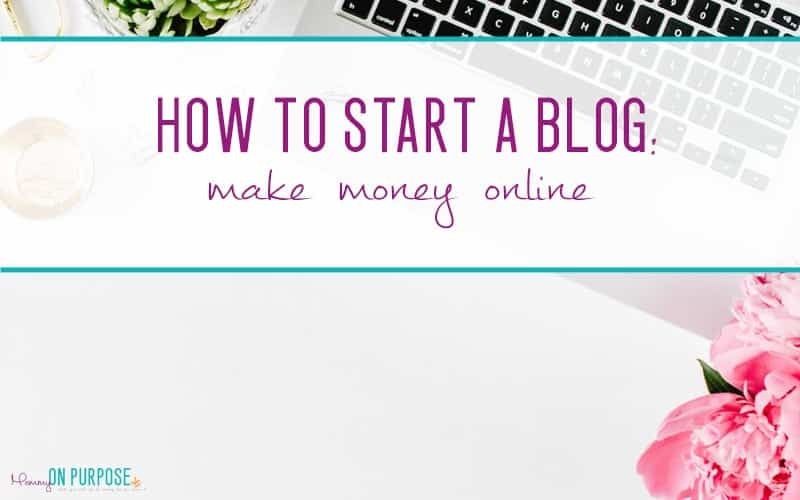 Part one includes some of the more technical details, including where to start a blog and make money – you don’t just want to start it anywhere, believe me! I didn’t do ANY real research on hosting companies before I started my blog – I just started on the platform that the first tutorial I stumbled on suggested… and I regretted that later. Lesson one is a detailed walk through on how to set up your hosting and wordpress. The actual START a blog part. You do want to make sure you are “making” your blog properly so you don’t run into trouble down then road! Your blog’s THEME is how it looks. There are COUNTLESS options out there to choose from – everything from free to expensive, and there are bad options and good options. Lesson 2 walks you through considerations for choosing your blog’s theme, and talks about the single most important aspect of a theme: MOBILE RESPONSIVENESS. It can be tempting to just jump in and start blogging but there are important little things to do first. Don’t ignore lesson 3! Lesson 4 is much like lesson 3, and if I had to choose one lesson that I would NOT want you to skip out on, it would be this one. Permalinks and google analytics installation can cause you SO many headaches down the road. If you take the time to get these things right when you are first starting your blog, you will never regret it. By now you’ve probably come across the term “plugin”, and you might be wondering what the heck that is and if you need any of ’em. There are pros and cons to plugins, and you definitely don’t just want to dive in and start installing plugins left and right. Lesson 5 is an overview of what plugins are, how to install them, and what to be careful about regarding plugins when you start a blog. IT’S TIME! If you have completed allllll the other little steps up to this point, you can WRITE YOUR FIRST BLOG POST! Lesson 6 will show you how! Lesson 7 just covers some very basic beginner mistakes people make that cause their blogs to grow more slowly. We can skip past these things and look more “professional” out of the gate – if we know to watch for them. The final 2 part lesson in part one of this course on starting a blog for money is GETTING BLOG TRAFFIC. No point in writing if no one shows up to read your blog! There are a number of ways to get traffic to your blog, and this lesson covers my favorite ways – GOOGLE and PINTEREST! If you’re already blogging, but asking “How can I start blogging FOR MONEY (not just for fun)”?? Then THIS is for you! Lesson 9 details HOW blogs actually make money. You’re writing content and putting it out there, but who is paying you?! People email me and ask this all the time. Lesson 9 will help you understand WHO will send you a paycheck for blogging. READ: BASIC BLOG MONETIZATION – HOW DO BLOGS MAKE MONEY? I also recommend reading this, at this point: 15 Bloggers who make money blogging WITHOUT “blogging about blogging”. There are some kinds of blog content that make money, and some that don’t. Plain and simple. This is another big reason why many bloggers fail to earn an income – they don’t understand what KIND of content you should write when you want to start making money with your blog. Lesson 10 explains how to write profitable content. Affiliate marketing is one of the fundamentals ways many people monetize their blog. You can talk about products or services you use and love – and if someone else clicks YOUR link and makes a purchase, you can make money on that sale! Of course there is more to it than that, and lesson 11 walks you through the basics of what affiliate marketing is. READ: AFFILIATE MARKETING – CAN YOU REALLY MAKE MONEY WITH IT? Lesson 12 is tackling the email list. For me, this seemed like the biggest, scariest task of all… but building an email list is what broke my “income ceiling” for my blog. Until I started an email list, I was earning 3-5000/month pretty consistently. AFTER I started an email list, I managed to have some 8-10k/months with my blog! When you start a blog to make money you often forget that it will require patience – but if you’ve been at this a few months and still aren’t seeing any income, you may be making one of these very basic mistakes. Lesson 13 will go over identifying your problem areas and provide some solutions to help you conquer these issues and start making money with your blog! Not ready to start a blog yet? Pin this so you can find the course again later!